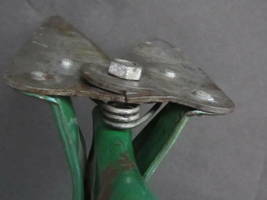 Top-Rated Sellerunit4four consistently earns high ratings from buyers thanks to fast shipping and excellent service. 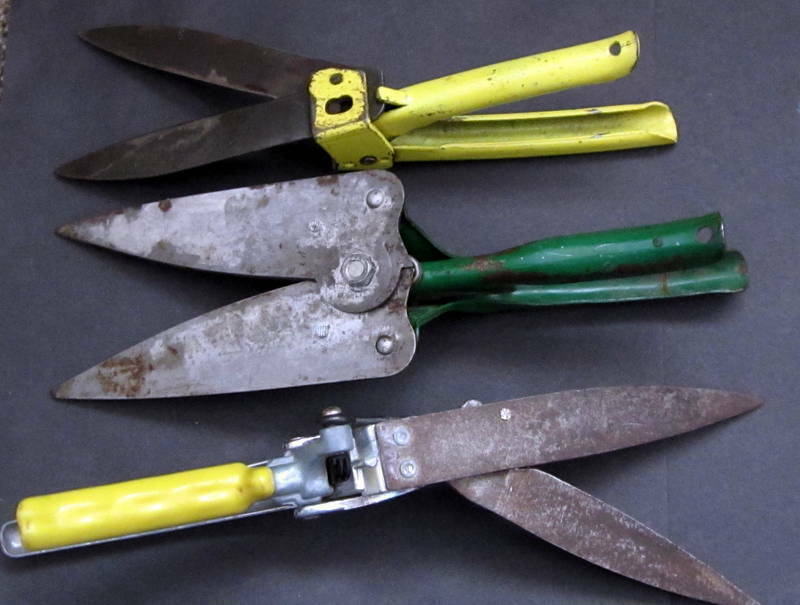 For your consideration is a lot of three hand held garden grass shears, clippers tools. 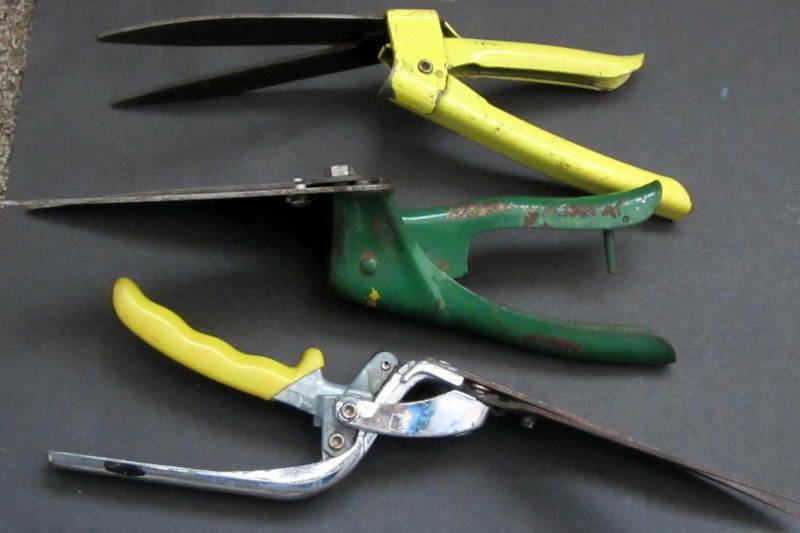 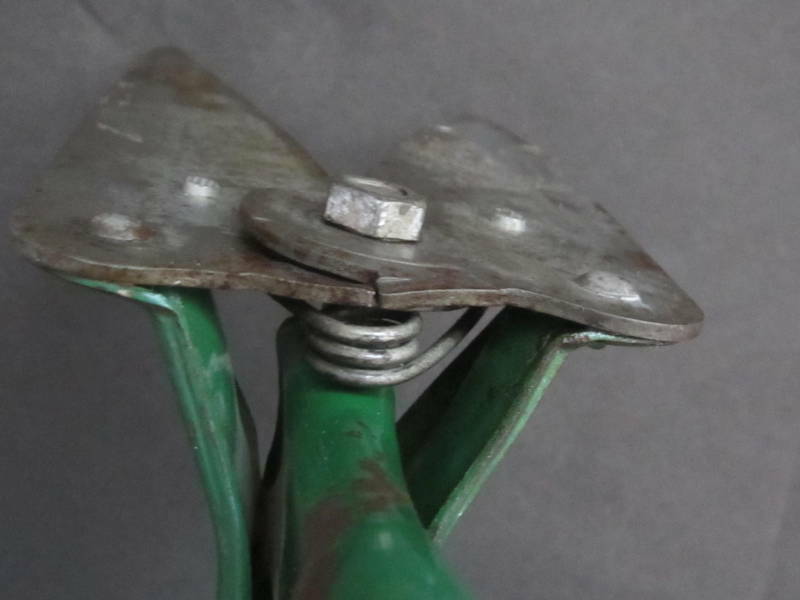 They are described as follows: The green pair of shears or clippers was patented in 1929 by The Lewis ENgineering Manufacturing Co., Alliance, Ohio, "Made in the United States of America" and given the name, "Doo-Klip". The inventor was Harold Clark. 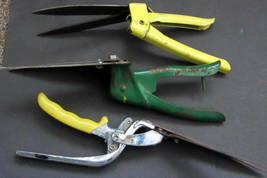 Titled: "Hand operated shear for lawns". 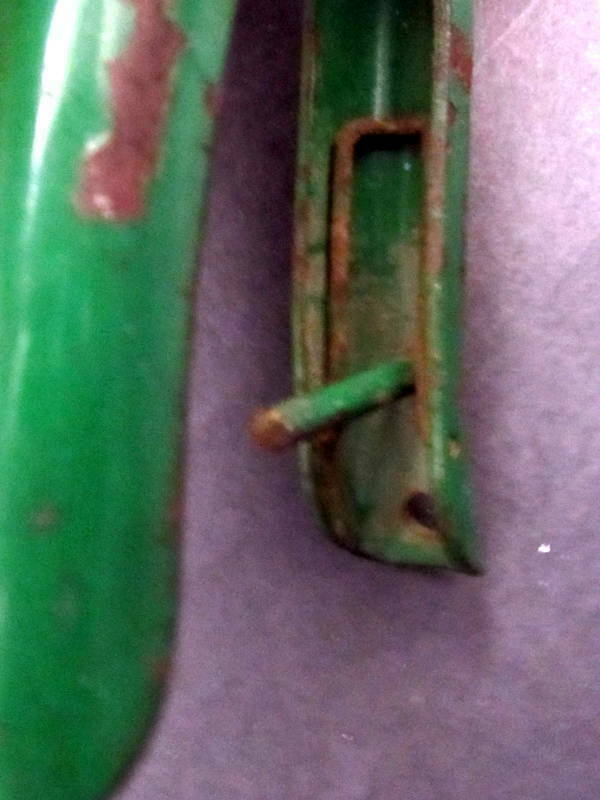 Clean for its age. It needs restoration in order to work properly. A True value "Green Thumb" hardware line shears seem to be a special edition for stores that were having 50th-anniversary celebrations in the early 1970s. This model was purchased in 1972 in an Iowa store during its anniversary celebration. It has been top coated with chrome. 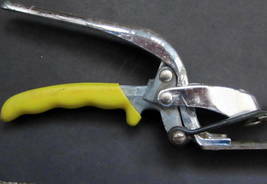 A yellow slip on the fingertip grip was added to the lower handle. 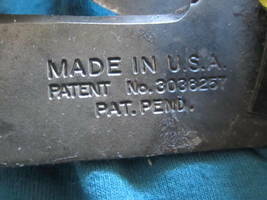 "To lock, close handles" "Oil moving joints" "Made in the U.S.A." "Turn Upside Down". are printed on one blade. 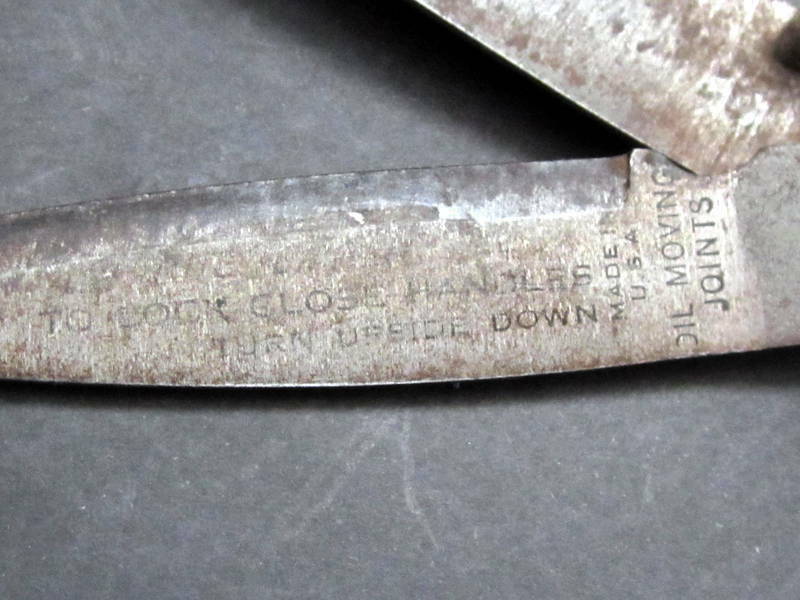 Clean for its age, and in working condition. 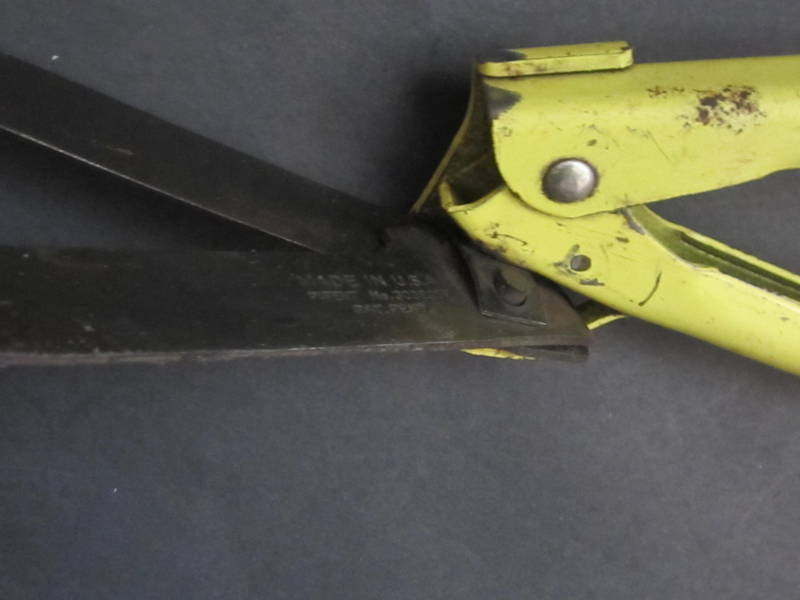 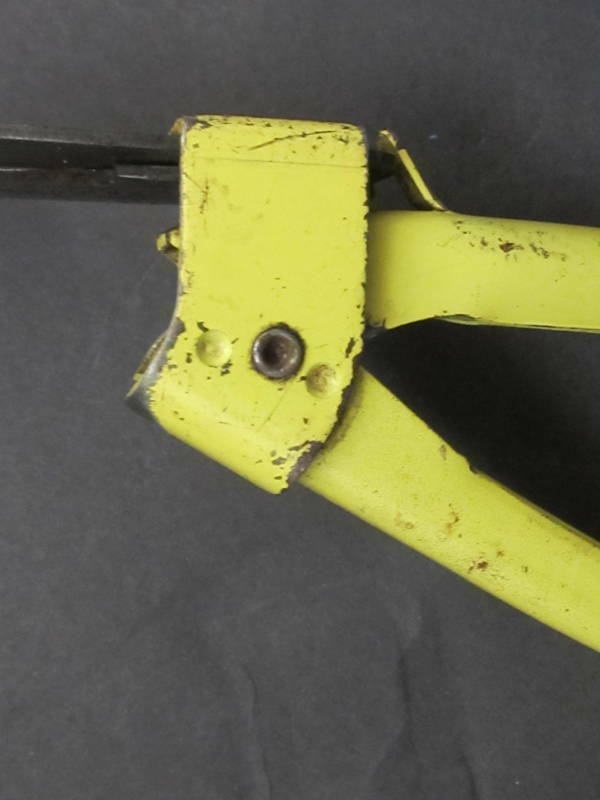 patent number 3038257 on the yellow shears, "Made in the U.S.A." was assigned to SMS Industries c/o McGraw Edison in April 1966. 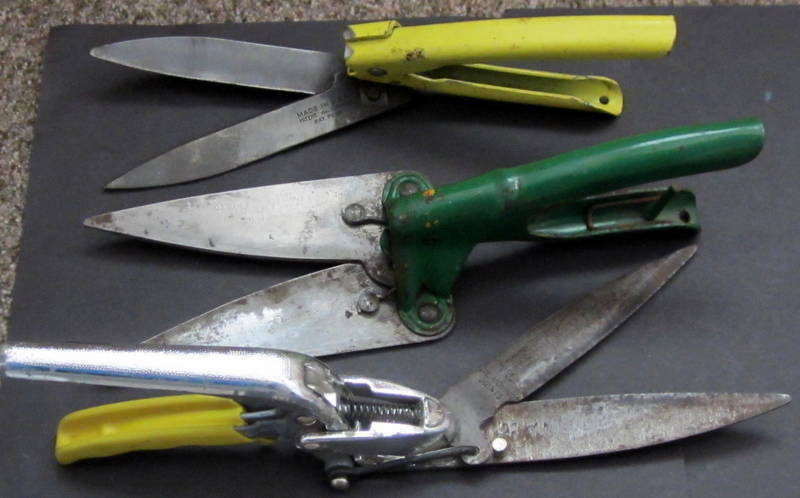 The inventor was Edwin C. Knight who was an employee of McGraw Edison at the time. Clean for its age, and working condition. 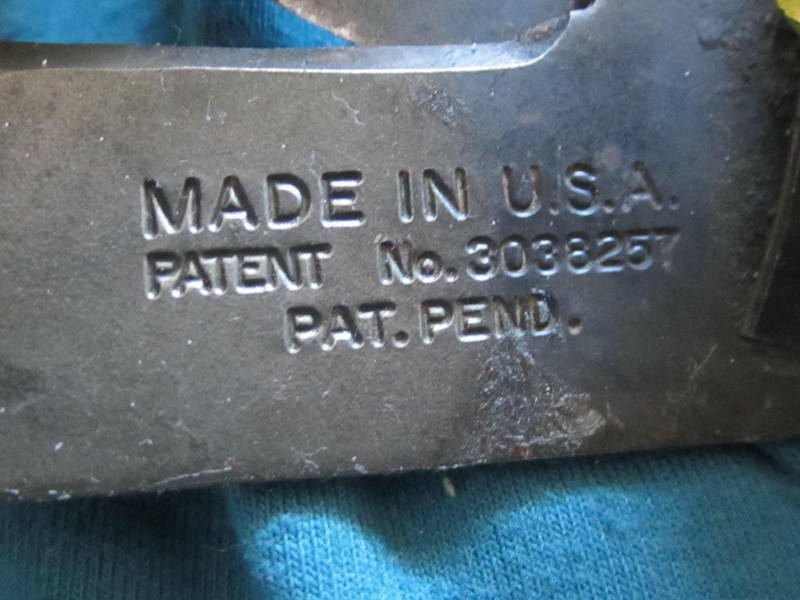 Pay Pal only All questions will be answered Internet research allowed me patent knowledge Free Shipping to the lower 48 United States No warranty is either stated or implied Thank you!